Do you live in the Land of Enchantment and would like to find a trail or walking path near you to get your daily dose of exercise? Or maybe you are planning a road trip through New Mexico and want to find a hiking or walking trail at one of your pit stops? VIVA Connects: Trails Across New Mexico can help you find what you’re looking for. Through the Prevention Research Center at the University of New Mexico, VIVA Connects fosters collaboration for spreading relevant, useful, evidence-based prevention strategies to rural communities throughout New Mexico. By teaming up with these communities across New Mexico, the Prevention Research Center is able to help develop and maintain walking paths and trails, advocate for walkable streets and highways, and promote use of trails on public lands. VIVA Connects: Trails Across New Mexico was developed to put access to these trails and walking paths in the palm of your hand. We hope this app will provide all the information you need to enjoy walking and hiking throughout New Mexico! Click the Get The App button below. 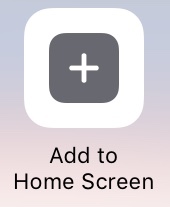 To install on your device, tap the Share icon and then tap the Add to Home Screen button. Click the Get The App button below. To install on your device tap the share icon and then tap Add to homescreen.